Industries face the challenge to meet the requirements of a growing number of regulations affecting every aspect of business while managing their budget. Their best resource is a consultant with exemplary technical expertise, knowledge and experience dealing with issues unique to each industry, and the business savvy to help manage costs while delivering results. Alliance has proven that we are our industrial clients’ best line of defense. We have our clients covered with every facet of environmental compliance and support. 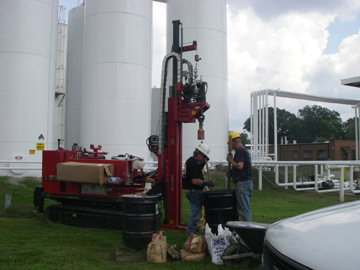 Our scientists, engineers, geologists and field staff provide: site planning and permitting, assessment and investigation, turnkey remediation solutions, compliance audits, operation and maintenance of site systems, health and safety, rapid response, and specialized engineering to help our clients minimize liabilities, improve compliance and sustain operations while taking full advantage of business opportunities.